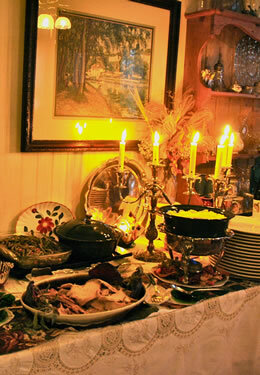 Noted innkeeper, Sandra Kauffman, is pleased to announce sumptuous dinners for 20 guests set in Highlawn Inn’s charming dining room. An alternative to impersonal restaurant dining, Highlawn Inn’s exquisitely prepared meals feature local ingredients, and change with the season. 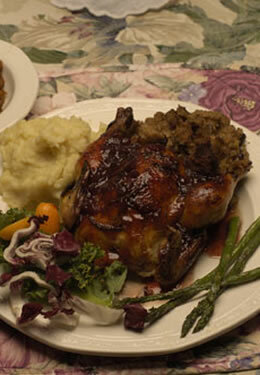 Herbs from Sandy’s own garden enhance her special recipes. 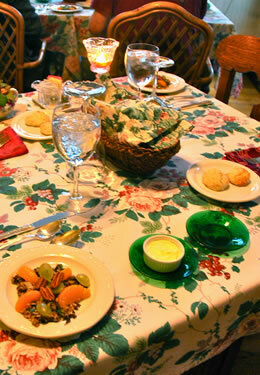 Note: On special dinner dates, lodging reservations are first allocated to those reserving dinner.